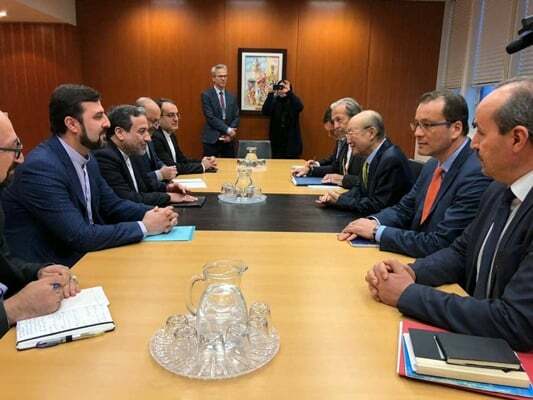 Iranian Deputy Foreign Minister Abbas Araqchi held a meeting with Director-General of International Atomic Energy Agency Yukiya Amano to discuss cooperation between Iran and the UN nuclear watchdog. Pointing to the complexity and difficulty of the current situation, Araqchi expressed hope the European Union would quickly fulfil its historic duty to protect JCPOA and compensate for the US withdrawal. Otherwise, there would be no reason for Iran to continue fulfilling its nuclear deal obligations, he said. Araqchi asked the IAEA director to deal with related issues professionally and neutrally and protect the independence of the agency against the pressure of destructive external forces, just like the past three years. Amano expressed satisfaction over the current level of cooperation between the agency and Iran regarding the implementation of JCPOA, expressing hope that this level of cooperation could be continued. Later on Monday, Araqchi also held talks with Austrian Foreign Minister Karin Kneissl. In the meeting, the two sides discussed issues related to bilateral relations, the latest conditions of SPV and efforts by European countries to protect JCPOA, and developments in the region, including Syria, Palestine, Lebanon and Yemen. 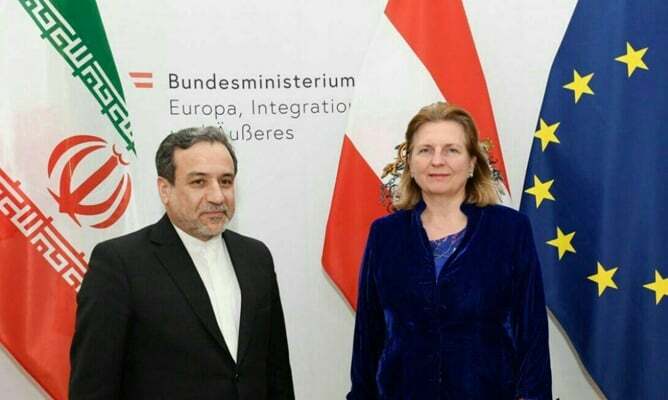 The deputy FM hailed Austria’s supportive positions on JCPOA, stressing the need for immediate implementation of the EU financial mechanism to let Iran benefit from economic cooperation. Pointing to recent developments in the Middle East, Araqchi described the destructive policies of the Zionist regime as the main reason behind instability in the region. For her part, the Austrian minister pointed to the importance of Tehran-Vienna relations, stressing the need for continuation of political consultations between the two countries to help boost peace and stability in the Middle East.